Getting a puncture in your car tyre can be stressful, particularly if you’re on a busy road or in a hurry. Using Holts Tyreweld takes away the stress, danger and hassle, but you might be wondering what you should do next? Is your tyre safe to drive on? Is it permanently repaired? If you’ve got a can of Tyreweld in your car or are thinking of buying one, this guide can tell you everything you need to know about how it works and what to do after you’ve applied it to a tyre. Use the links below to get the info you need fast or read on for the full guide. What is Tyreweld and How Does It Work? What Do I Do After I’ve Used Tyreweld? Does Tyreweld provide a permanent repair? Holts Tyreweld is a temporary puncture repair product for emergencies, designed to seal the puncture and inflate your tyre to get you back on the road quickly. It comes in a pressurised can and has a valve that connects to your tyre. All you do is screw on the valve, remove the plastic safety tag and depress the trigger. The product will flow into the tyre to seal the puncture, so you can get where you’re going without having to change the wheel. Once you’ve used it, you need to drive straight away so that the foam can circulate throughout the tyre. This will seal the puncture, and your tyre will be safe to drive on. It won’t deflate and Tyreweld won’t damage it in any way. We only advise that you top up the pressure at the earliest opportunity and drive at a maximum of 50mph/80kph. Holts Tyreweld doesn’t provide a permanent puncture repair. Instead, it offers a semi-permanent quick-fix that lets you get where you’re going after a puncture, so you don’t have to worry about trying to change the wheel at the roadside. Once Tyreweld has sealed and inflated the punctured tyre, we’d recommend driving straight to a garage so that the tyre can be repaired properly. The great thing is using Tyreweld doesn’t prevent your tyre being fixed, although, depending on the type of puncture and the number of previous repairs, a professional mechanic may advise that you need to replace the tyre after a puncture, rather than simply repairing it. 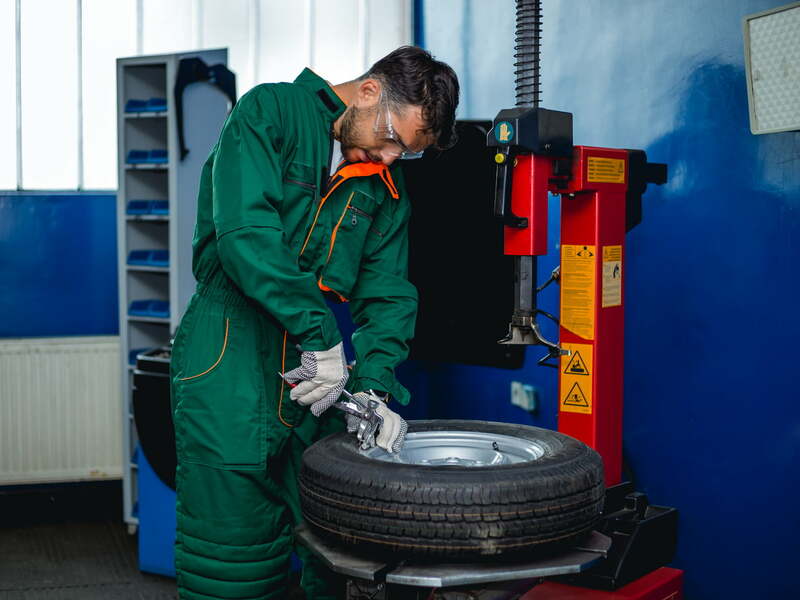 Because Tyreweld is made from a water-based foam, it can be easily wiped from the tyre using paper towels, so a mechanic can find and fix the puncture. This makes it different from other emergency tyre repair products, which can’t be removed from the tyre and mean you need to buy a new one. Make sure you tell whoever repairs the tyre that you’ve used Tyreweld. If they’re not familiar with it, just explain to them that it’s a water-based repair product which can be easily and quickly removed, so the tyre is still fixable. Tyreweld is one of several DIY emergency repair products in the Holts car maintenance collection. To browse our complete range, visit our homepage.